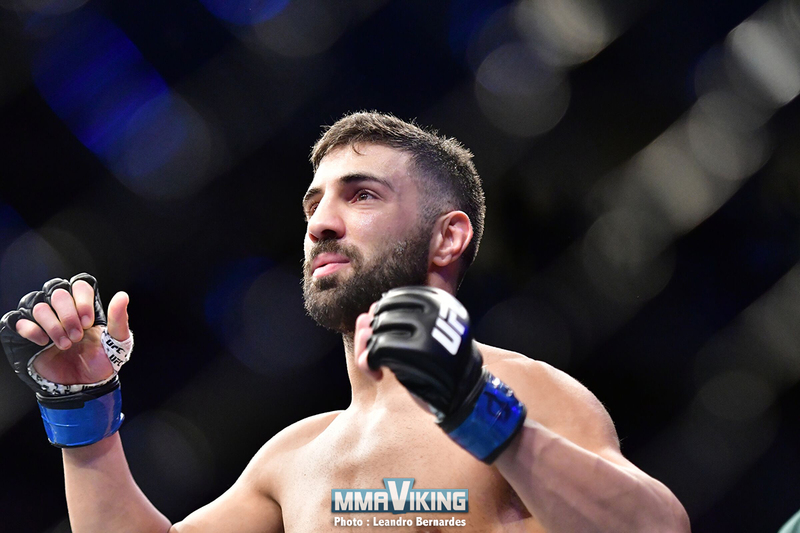 David Teymur (8-2, #1 Nordic LW) was looking for his 6th straight win as he returns to the Octagon. 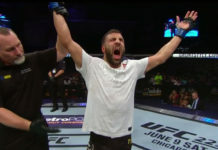 But the Allstars Training Center fighter faced Brazilian Charles Oliveira (26-8) on the UFC on ESPN+ 2 card on February 2 at Centro de Formacao Olimpica do Nordeste in Fortaleza, Brazil, and was eventually submitted in the second round. An eye poke early stopped the bout, and the referee took one point away just 25 seconds into the fight. The Brazilian called his own time-out in confusion shortly after, claiming another eye poke. Oliviera is moving forward aggressively and threw a nice high-kick, but it was Teymur that threw a huge left hand that dropped the Brazilian. After a few punches on the ground, the Swede backs out of danger from the submission artist. But, the Allstars Training Center fighter is cut over his left eye. A bad cut with blood flowing. David defends well and scrambles out of a take-down event with 2 minutes left. Da Bronx lands a nice flying knee, and a few straight right hands. A good body shot for Teymur after dodging a few spinning attacks. 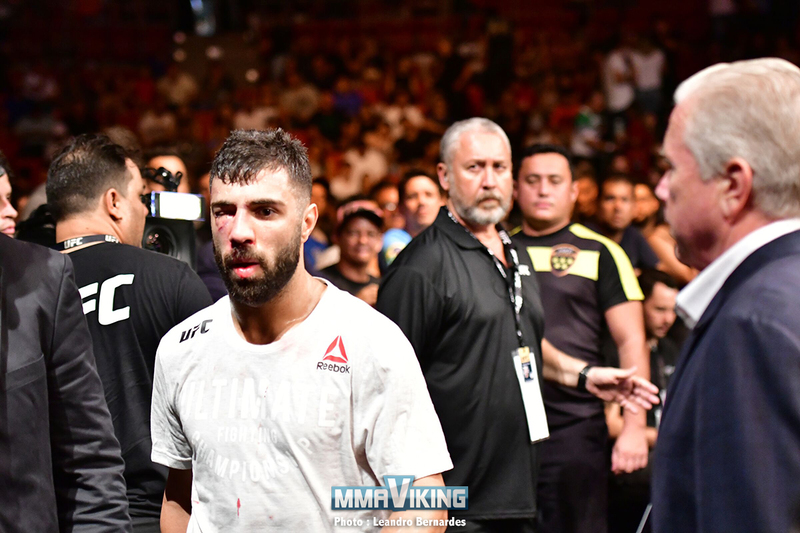 A combination from Teymur to end the round that walks back with a swollen right eye. The Brazilian is aggressive to start out the third and clips Teymur with punches, then an up elbow. David is in trouble and protecting himself against the cage, but he is hurt. The Swede battles back to hold on, but Charles locks on a a darce choke forcing the tap. 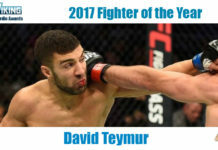 Teymur goes to 5 wins and 1 loss in the UFC. The lightweight improved his submission record over Royce Gracie and now has 12.